Like most developers, I prefer to not have to pick up the mouse if I don't have to. I use the Executor launcher for almost everything so it's extremely rare for me to ever click the "Start" button in Windows. I also use shortcuts keys when I can so I don't have to pick up the mouse. 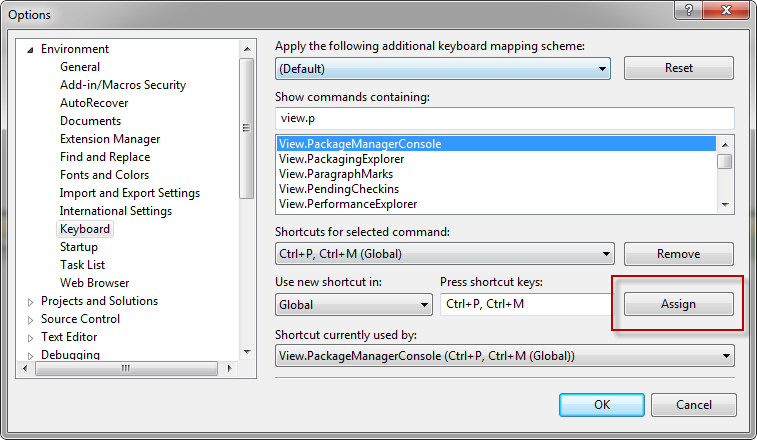 By now most people know that the Package Manager Console that comes with NuGet is PowerShell embedded inside of Visual Studio. 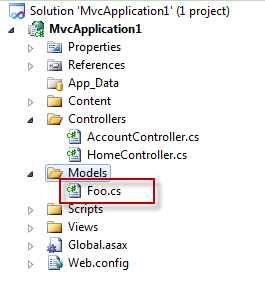 It is based on its PowerConsole predecessor which was the first (that I'm aware of) to embed PowerShell inside of Visual Studio and give access to the Visual Studio automation DTE object. It does this through an inherent $dte variable that is automatically available and ready for use. 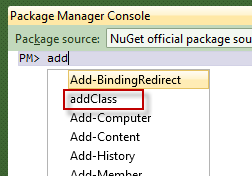 This variable is also available inside of the NuGet Package Manager console. 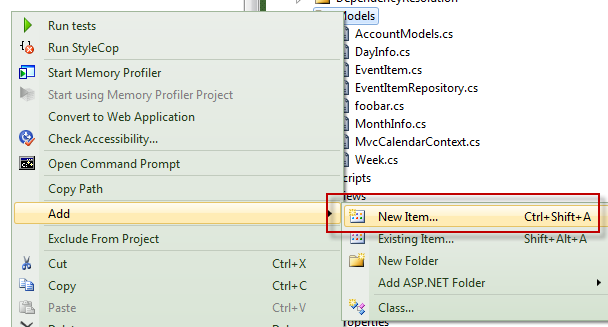 Adding a new class file to a Visual Studio project is one of those mundane tasks that should be easier. First I have to pick up the mouse. Then I have to right-click where I want it file to go and select "Add –> New Item…" or "Add –> Class…"
$className = $className + ".cs"
$modelsDir = $dte.ActiveSolutionProjects.UniqueName.Replace(".csproj", "") + "Models"
First I figure out the path to the Models directory on line #7. Then I activate the Solution Explorer window on line #8. Then I make sure the Models directory is selected so that my context is correct when I add the new class and it will be added to the Models directory as desired. These are just a couple of examples for things you can do with the PowerShell prompt that you have available in the Package Manager console. As developers we spend so much time in Visual Studio, why would you not customize it so that you can work in whatever way you want to work?! The next time you're not happy about the way Visual Studio makes you do a particular task – automate it! The sky is the limit.